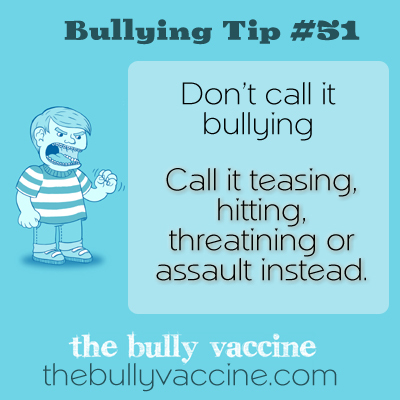 Call it teasing, hitting, threatining or assault instead. Bullying can mean so many things it is meaningless to tell someone you are being bullied. You need to be specific about what happened to you instead.